Starting your application with New Image College to begin the career you have always dreamed of is an exciting step. Our New Image College Program and Career Advisors are a simple phone call or email away. We are eager to help make this application process an enjoyable and stress free endeavour. Your application will be reviewed by the people that will be present for every stage of your education journey. NIC aspires to keep your best interest in mind with open and transparent conversation. 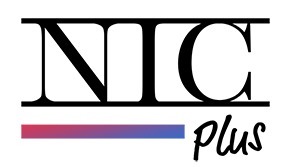 Apply online to upload your profile to NIC. This lets us know more about you so we can provide you the best consultancy in your future career. 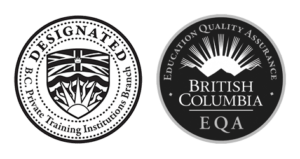 New Image College is a Designated Learning Institute certified by the Private Training Institutions Branch, part of the BC Ministry of Advanced Education. To move forward, please review the admission requirements and complete your application through the NIC Upload Centre. This application gives you the opportunity to share more information about yourself and what makes your specific education journey unique. Upon receiving your completed NIC Upload Centre Application, an advisor will be in contact within 72 hours. We will schedule a time to conduct either an in-person tour of one of our facilities, or arrange a time to speak over your most convenient method of communication. We look forward to discussing your career goals, expectations, and any other questions you may have. Your journey to success starts here! Admissions requirements cannot be waived by either the College or the student. Must be at least 19 years of age OR have a high school diploma. Submit Parental consent: Upon acceptance, a parent or legal guardian must co-sign the registration. International students must also pass with a mark of 25/30 both the New Image Written English Assessment Test and Verbal English Assessment Test. Submit a 2,000-word essay and portfolio describing in detail how you are self-taught. 2 years of professional experience in the entertainment industry. Prerequisites must be produced during the admission process. If a student has had prior education in their related field of study, NIC may omit certain sections of a program. To apply for this exemption, the student must produce a certificate or diploma (if applicable) and/or take the written exam for the section (to see where they are at and what areas may be omitted). The student may also be required to demonstrate practical application of their skills to the Senior Academic Officer and instructors. The student will then be placed in the appropriate sections of the program and be given a schedule to follow. The student must take the written and practical finals for their programs and successfully pass them to receive their NIC diploma or certificate. Upon application acceptance, the applicant may be contacted by NIC Admissions and be advised of registration dates and the deadline for payment of tuition fees. Students who do not respond by the deadline may lose their opportunity to register for the dates of their choice; thus, they will be placed on a waitlist for the next available date. Acceptance is valid for 30 days after your application submission. If the applicant wishes to register for the same program in future, they must re-submit their application. Being rejected once from any of the programs does not guarantee applicants will be rejected again. New Image College fees are payable in Canadian dollars and we accept Visa, Mastercard, email transfers, bank wires, cash and cheques. Education is an investment that will last a lifetime. Financial planning is an essential part of the registration process and often a large support network may be involved. New Image College assists in this process of determining which financial option is best for each individual scenario and we offer payment plans with no interest due. When you apply to New Image College, please complete the non-refundable payment of your application fee. Once you have received confirmation of acceptance into your program of study, you will be asked to complete program registration forms. A tuition deposit will be required at this time to secure a placement in your desired course date. Tuition deposit amounts are determined during your financial planning with an advisor. The balance of your tuition will be due as per your financial plan discussed and confirmed on your registration forms. During your registration process your advisor will discuss various options of methods to pay your tuition fees. The following are options for you to consider. This is a non-interest, monthly payment plan structure that allows you to pay your tuition during the course of your study period. Tuition must always be paid in full 30 days prior to your tuition completion date. National and Provincial Student Loans are available to Canadian Citizens, Permanent Residents and landed Immigrants who are enrolled in a full-time program at New Image College. The amount of funding you receive is based on the tuition, length of your program, fees, books, supplies, household income, available resources, marital status and other factors and reaches a maximum yearly level that varies province by province. Please contact one of our Advisors who are available to help answer your questions and provide detailed information on any aspect of the qualifying criteria and maximum loan amounts to your specific situation. Each Province indicated is a clickable link. An RESP is a, tax-deferred, savings vehicle generally used by parents/grandparents to save for their family’s post-secondary education. LLP is a program that allows Canadian residents to withdraw funds from their Registered Retirement Savings Plans (RRSPs), without penalty, to fund their education. The LLP allows you to withdraw up to $10,000 per year (to a maximum of $20,000) for you, or your spouse, without the withdrawal being taxed. You have up to ten years to pay back your withdrawal. To apply, you must have an official letter of acceptance for a full-time program from New Image College. NOTE: The financial options that have been presented have no affiliation with New Image College and are listed for information only. Please read carefully the full text (and the fine print) of any contract in which you engage and be sure you understand it before you sign it. New Image College is not responsible for terms and conditions imposed by third-party services. If a student does not attend any of the first 30% of the hours of instruction to be provided during the contract term, the institution may retain up to 50% of the tuition paid under the student enrolment contract. If an international student delivers a copy of a refusal of a study permit to the institution, sections 1(a), 1(b), 4 and 7 of this policy apply as if the copy of the refusal were a notice of withdrawal unless the international student requests an additional letter of acceptance for the same program that was the subject of the refusal of a study permit. All international students enrolled in a program longer than 6 months must obtain a study permit prior to attending New Image College. In order to participate in any of the New Image College Co-op programs and be able to work in Canada (which is an essential part of graduating successfully from a co-op program) you must also apply for a work permit. International health insurance is designed to offer a comprehensive level of healthcare cover to those relocating from their home country for a sustained period of time. Once you arrive in Vancouver, you may apply for Medical Services Plan (MSP – please see link below). However, it may take a while for your MSP request to be processed. In addition to this, some students may want extra coverage. A customizable health insurance plan provides for full payment, without co-insurance or deductibles, for doctor’s visits and hospitalizations for medically required urgent care, as well as for paramedical care, medicines and urgent dental care. Participants are typically students or faculty who are out-of-country or out-of-province for less than six months, or out-of-status. Having a health insurance plan ensures quick and effective care for participants by offering a preferred provider network of over 250 clinics and hospitals that allow individuals to get professional medical service, with no upfront cost to participants. The Insurance Cost: $3.00/day, and we can help you to apply. When: Immediately after arriving in BC if you are staying six months or longer. If you are coming from abroad, moving to a new city is both daunting and exciting. For the first month/months you may want to consider staying in a Homestay. Homestays are a type of accommodation that define the phrase a ‘home from home’. In a homestay, you book to stay with a family in their home. Besides connecting with local people and having an opportunity to improve your language skills, homestays are the most inexpensive and safest type of accommodation to start with. When you arrive to Vancouver, you’re most likely in unfamiliar surroundings, and it takes time to get used to the place, culture, routes, transit system, etc. By staying in a homestay first it gives you the chance to meet some people that are familiar with the city, in their home, who will quickly help you to feel more comfortable, secure and generally at ease in Vancouver. Besides this, leasing an apartment in Vancouver may require a one year contract. When you stay in a homestay, you avoid that commitment and have enough time to meet new people, your classmates, establish friendships and decide if you want to room with anyone in particular. Please note, that when working with our Student Services Department to find a Homestay placement, it is required to be certain on how many days/weeks you will need, in addition to a placement fee, to start looking for a place for you. If you are interested in this option, please contact [email protected]a to request a home stay information form. Collingwood Village is a company that has various rental buildings located in the Lower Mainland. Collingwood Village Realty Services specializes in long-term housing.